Though it always seems like one driver dominates the others throughout a season, the championship title winner always has a close battle to win it. Formula One 2017 season seemed like Sebastian Vettel's midway through the season. However, started turning around later, as Hamilton went on to win that title after winning seven races out of last nine, finishing with a 46-point lead ahead of Vettel. The ongoing 2018 season also seems to be open for the title winner spot, as Vettel is behind Hamilton by just 30 points with 7 races left. Title turnaround is very much possible. The ending stage of a season brings out the best from every driver, as they upheave their potential not just to win the race, but also to outmaneuver their competitors. Formula One history has seen a lot of these title turnarounds, right from Lauda-Hunt times to Vettel-Hamilton times. Let's see the top 5 title turnarounds in F1. Rising from anonymity in the 1980 Formula One season by coming second in the drivers' championship with his Brabham BT49C, raised many eyebrows. However, the hard-fought vibe of the previous season took time to catch up for the Brazilian driver as he failed to score points in four out of the first seven races. With only 2 wins in his belt, Piquet was 22 points behind the Argentine driver, Reutemann. 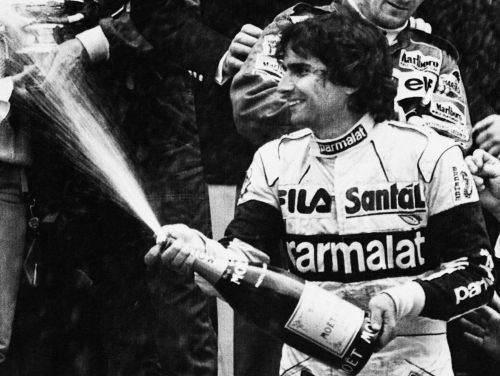 The second half of the season seemed as if it was perfectly scripted for Piquet as he had a run of six point-finishes from the closing six rounds, which included 3 podiums, while Reutemann managed to score only thrice during the same time, paving way for Nelson Piquet to claim his first championship.